Jerry Maguire made a permanent impression on the pop culture lexicon ("Show me the money", "You complete me" and of course "You had me at hello.") A sports agent with a guilty conscience writes a mission statement that forever changes his life. So who's coming with me to take this quiz? 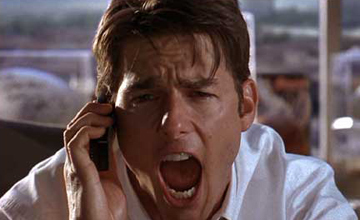 You may have shoplifted some pootie yourself, but how well do you know Jerry Maguire?